While some of us are excited about all the new fantasy miniatures coming out, we can't forget that Mantic also has a sci-fi side. 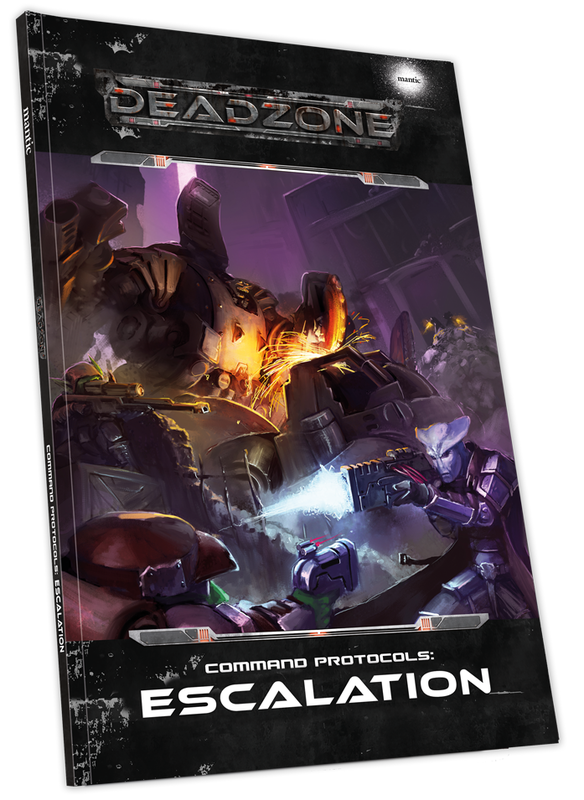 Much like Kings of War has the annual Clash of Kings, Deadzone is now getting an annual Command Protocol update. This year it is Escalation. Containment Protocols: Escalation is the latest update to our hugely popular sci-fi skirmish game, Deadzone. In this new supplement, players will find rules for adding ruthless mercenaries to their games and an entirely new mercenary-based faction. 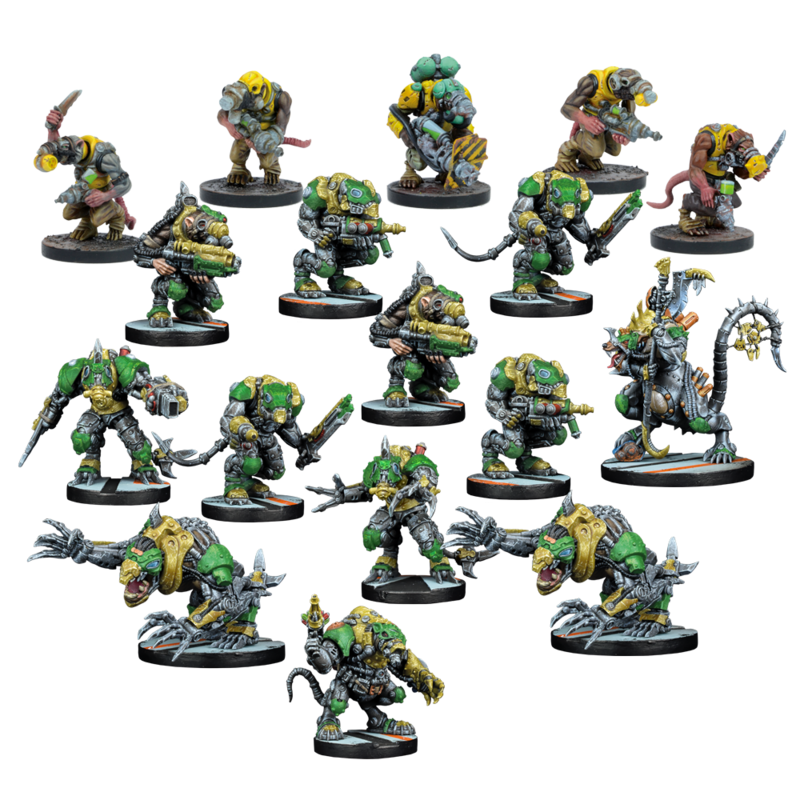 Rebs get a boost to their cause with new fighters, while the insidious Veermyn gain the support of the technologically advanced Volt Chasers. Plus, all existing faction lists are reprinted with the latest points and errata. What’s more, you’ll also find new multi-mat based scenarios and rules for adding interactive scenery to your battles. So much like last years Command Protocols: Outbreak, this gives up rules updates and list updates, as well as some new lists. The Incoming Intel Deck is an entirely new way to play Deadzone! 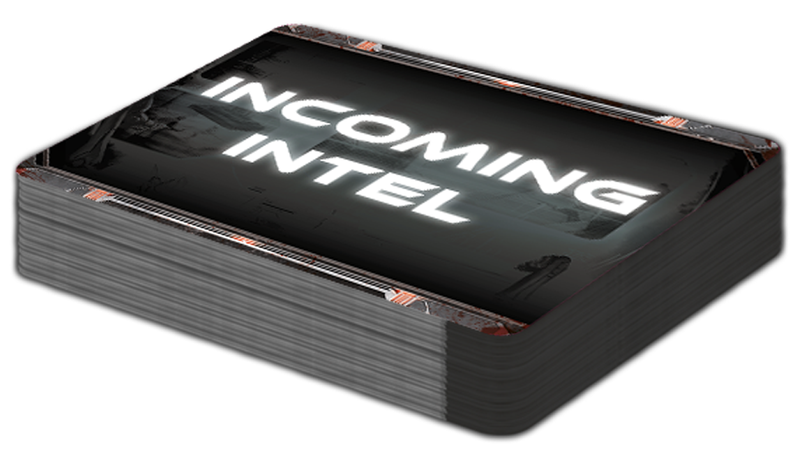 Out in the field, you never know what your next target will be and the Incoming Intel Deck represents this with missions that change on the fly. This 66- card deck includes ever-changing objectives and special events that can shape the conflict. This sounds a lot like the Kings of War Battlefield Cards which added a new way to play casual games. Great for game night and maybe a light campaign (though not necessarily balanced for true competitive play). intelligence specialist, with spies hidden across the GCPS and a number of devastating raids to his name. However, he is also ruthless and aggressive, frequently coming into conflict with other rebel leaders over his tactics and strategies. His cell has enemies everywhere, and Shayo has eyes watching them all. 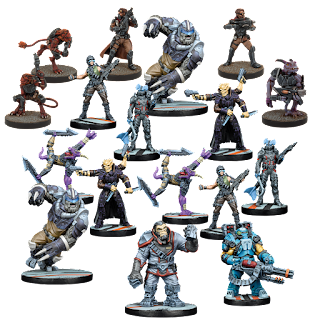 So, much like they did with the Nameless and Mazon labs, we are now going to see new lists for the models from Star Saga (though it is a shame that you can't buy the Mazon labs minis packaged for Deadzone). The first of these are the figures from the Devil's Betrayal expansion (though this has yet to hit retail). They are adding some existing rebs models (troopers, yndij and sorak) as well to make a full faction. Volt chasers are an uncommon sub-sect of the Veer-Myn. Led by the elusive beings classified as ‘Technorati’, they have an almost religious desire to acquire and utilise advanced technology. Many members of the nest sport electronic implants and bionic limbs, enhancing their combat abilities beyond those of normal Veer-Myn making these groups a very real threat to human colonies across the GCPS. 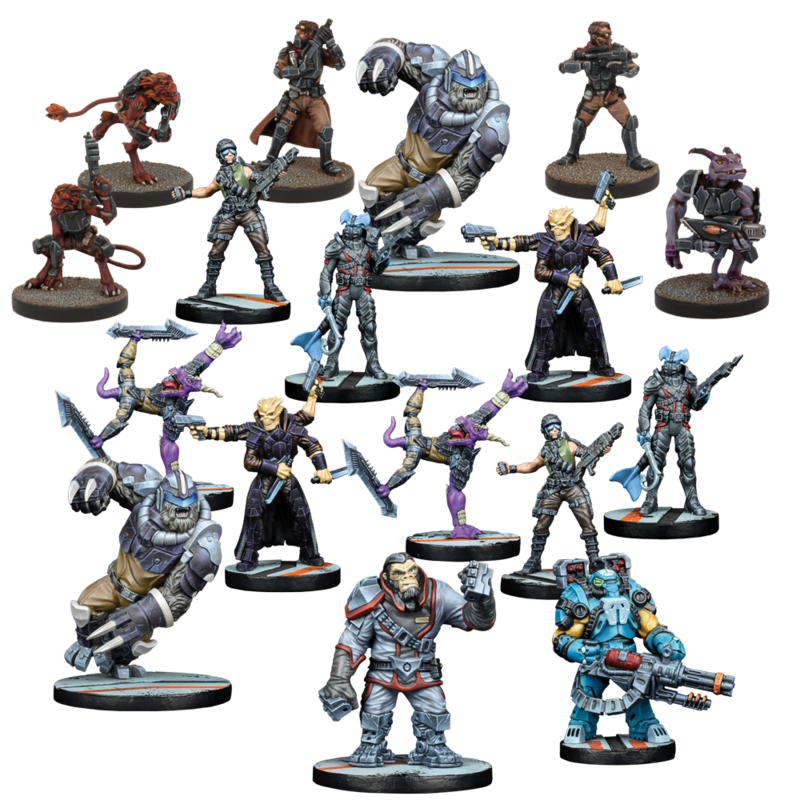 Now we get the models from the Retake the Blackstar Station Star Saga expansion (again, which has not yet hit retail) They are adding a sprue of the hard plastic Nightcrawlers to flesh out the faction. What some people are going to be excited about are a few Deadzone models that are finally coming back into print. These have been unavailable since not long after they came out from the original kickstarter. Many Pathfinder units make use of the EP-54 electric mono , or the ‘E-Mike’, as it is known by its riders. The E-Mike’s excellent range and low noise profile have facilitated numerous covert operations and, when things get loud, its speed has proved similarly valuable. A fast option for the Enforcer Pathfinders - it is one of the few Deadzone models I still don't have (lets not talk about what is painted (or sometimes even assembled). The Stuntbot’s capacity for destruction and thick armour makes piloting one a coveted job amongst Goblin fighters. I know players have been asking for the stuntbot to return, giving the Marauders their own walker. The link is to a two year old blog post which says that I put it together two years before that, so it has been coming a long time. 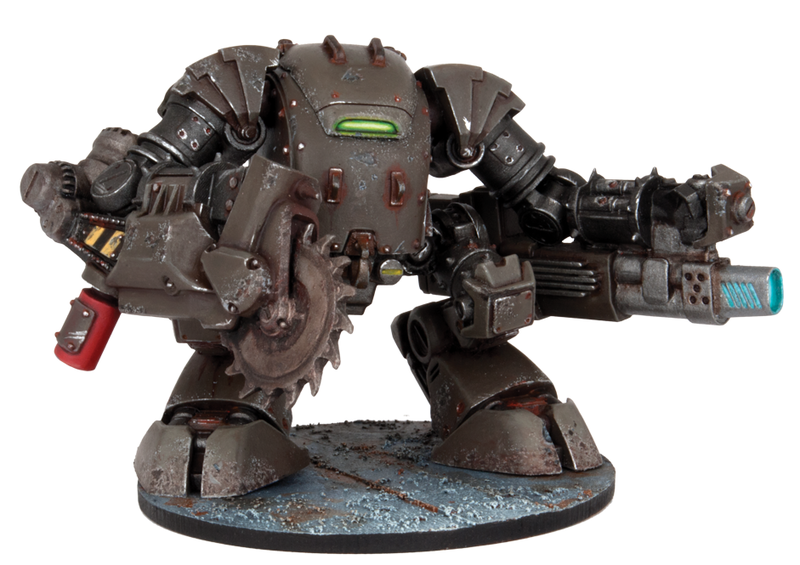 However not only is Mantic bringing back some hard to get models, they are also releasing some new ones! Sick of always being inferior to his larger, more powerful Marauder allies, Bolts began modifying captured Peacekeeper armour to create Gruntbots. Nothing makes a goblin feel happier than sitting behind several inches of (mostly) bullet proof armour. A new metal model, Bolts in his Gruntbot is, like all goblins, is just a fun model. I may have to get this for no other reason than I like crazy goblin contraptions (if only they would sneak in a card to use this in Kings of War: Vanguard (maybe as a troll?). Finally a bit of frustration for me. Not that this model is coming out, just that it is just now coming out, when I needed it SIX MONTHS ago. 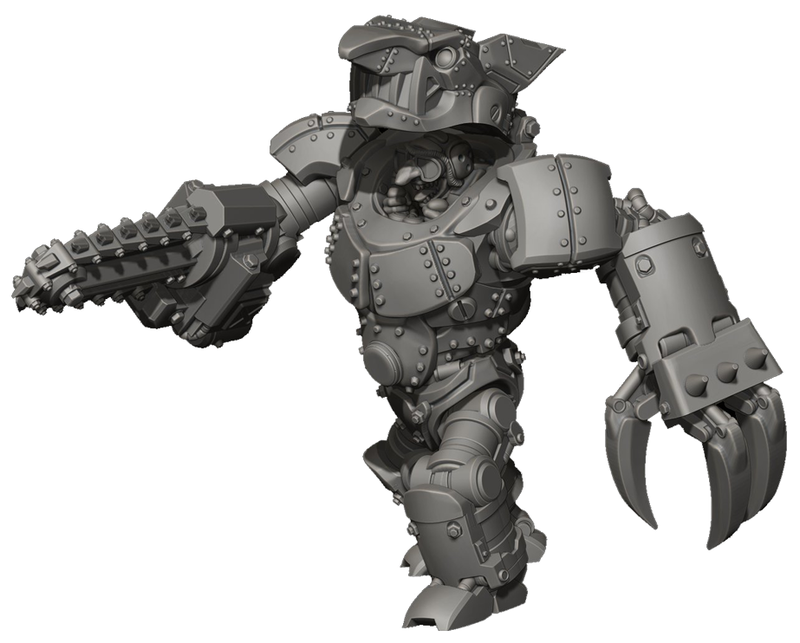 When they brought out the Nameless for Star Saga and Deadzone, they basically made warrior version of the Dreadball team - the Strikers (which are based off of shrimp) became Caratid (again shrimp), the Sticky Guards ( now renamed Undulan Guards) are - well pick your tentacled choice either the Gunslinger or Rifleman. What they didn't have were the Hard Guards (or Feromite Guards). Now both of my regular readers may remember I am making (well by the time this comes out it should say made, as I'll have the army at Adepticon (well, the bases aren't what I want yet)) and I'm using Feromite Guards for my horde of Placoderms. That is 40 for those of you who don't play Kings of War. Even PMC (Preferred Model Count) it is 27 and MMC is 21 (sorry, I just hate MMC). 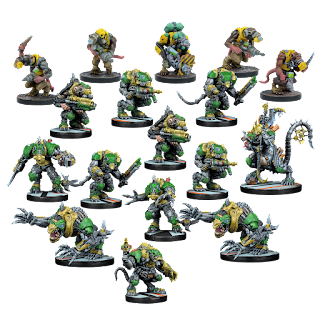 I had to try to find so many Nameless Dreadball teams to make my horde of 28, which overflows the base - they did NOT make these models to rank up. Although not as devastating as the mighty Nameless Ogres, Feromites have claws that can cut through the thickest Enforcer armour with ease, while terrifying Feromite Primes become natural leaders for the Nameless invaders. SO not only is there a new feromite model coming out after I sweated trying to make a unit that had some differentiation between them - but it will have alternate parts. 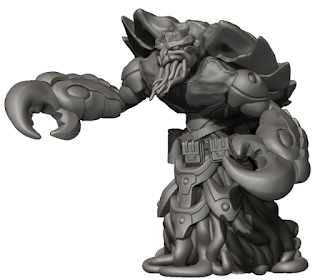 The render looks really nice - and I so wish there was a way to use a couple, but I'm not tearing apart the finished unit to add this guy unfortunately. 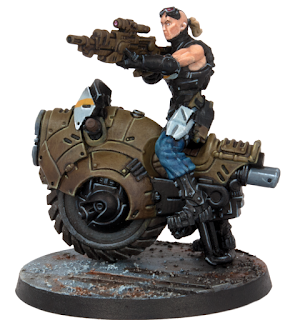 Though if I ever buy more Nameless to use in Deadzone, I will definitely want a couple of these! By the way, if anyone needs a ton of Dreadball Nameless Strikers or Undulan Guards, let me know. When are these due to be released? Where are these images from? I can't see them on the website?